There are 5 cat videos tagged with thief. Thieves never get away with it! 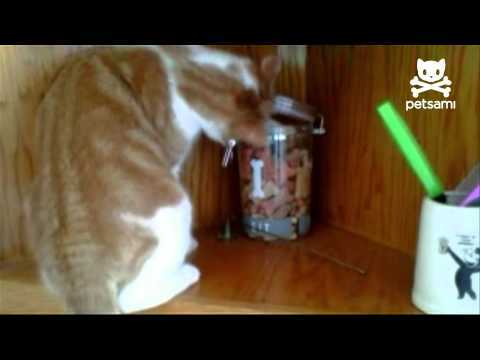 This orange cat jumped up on a counter to grab a dog cookie out of the cookie jar. Once it gets a cookie, it jumps off the counter and drops it onto the floor where it is eaten by a dog! This was some bad karma or the dog got the cat to do its dirty work. Either way, it's a cute cat video! 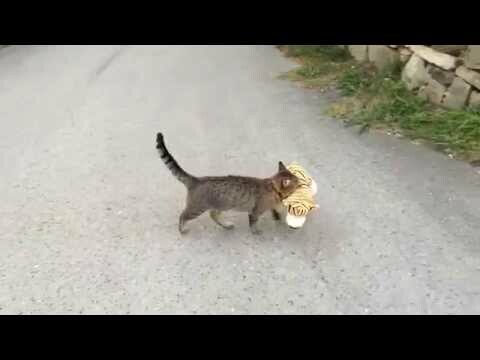 This adorable cat burglar steals a tiger stuffed animal from his neighbor's house! While most burglars might shy away from people while carrying their stolen goods, Timmy doesn't care and just walks confidently by his owner. 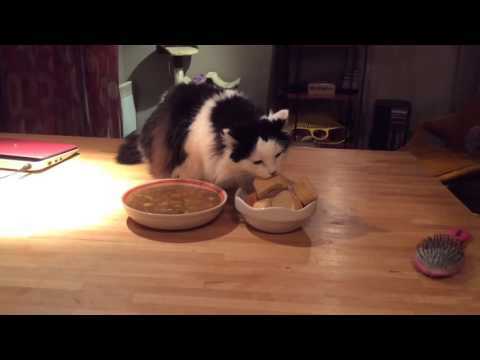 Oreo the bread thief is back at is, but this time with dinner rolls!